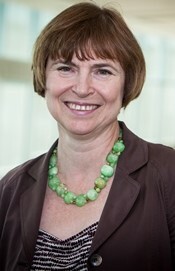 Dr. Tatiana Bronich is a Parke-Davis Professor at College of Pharmacy and Co-Director of Center for Drug Delivery and Nanomedicine at University of Nebraska Medical Center. She also serves as the Director of NIH-supported Nebraska Center for Nanomedicine. Her research interests are in the area of self-assembling polymer materials and applications of these materials in medicine. Of special interest is the design and study of novel types of functional materials based on complexes formed between block ionomers and oppositely charged polymers and low molecular weight amphiphilic molecules. These systems are of great fundamental importance as models of biological systems formed as a result of self-assembly processes. In addition, her recent work has expanded to include the application of these amphiphilic block copolymers and block ionomer complexes in drug delivery to treat cancer and the development of the polycation-DNA complexes for gene delivery. Since joining the faculty at Florida Institute of Technology (FIT) in 1998, Dr. Brenner first worked in the areas of hydrogen storage, purification, and sensing. Dr. Brenner has also developed Bio-Diagnostic chips, metallic nanoparticles, and polymer foams for rocketry applications. Dr. Brenner’s main contributions have been toward understanding and prevention of nanoparticle aggregation and loss of surface area, followed by the conversion of these nanoparticle aggregation papers into experiments adopted at FIT and elsewhere in the field of nanotechnology education. 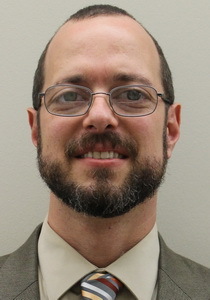 Prof. Brenner teaches courses in petroleum refining, process flowsheet development, nanotechnology, materials characterization, biomaterials and tissue engineering, and introductory courses in materials science and engineering, materials laboratory, nanotechnology laboratory, and data analysis. Dr. Brenner has developed one of only ten nanotechnology minor programs in the nation and now has joint appointments in the Departments of Chemical and Biomedical Engineering. Dr. Hoseini is an assistant professor at Midwestern University. She received her Bachelor’s (2003) and Master’s degree (2006) in Physical Therapy from Iran University of Medical Sciences, Tehran, Iran. In 2015, she received her Ph.D. in Kinesiology with major in human performance and minor in neuroscience from Indiana University, Bloomington, Indiana. 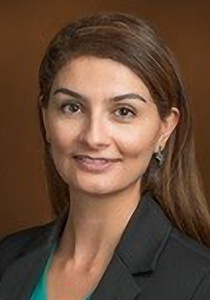 Dr. Hoseini is a member of American Physical Therapy Association (Research, Neurology, and Health Policy and Administration sections). Her research is focused on sensorimotor neurophysiology and application of brain stimulation on manual dexterity, upper extremity function, and proprioception. She published a paper on spinal cord neuroplasticity in Neuroscience Letters journal in 2011 and an article on proprioception measurement in PLOS ONE journal in 2015. She has also presented posters about sensorimotor neuroplasticity and effect of peripheral and central stimulation on manual dexterity in Society for Neuroscience conference in 2012 and 2014 as well as APTA NEXT in 2016. She also published the result of her Ph.D. dissertation on the effect of brain stimulation on healthy adult manual dexterity in Neuroscience Letters journal in 2016. In her current project, she is investigating the effect of brain stimulation on upper extremity function in patients with stroke in collaboration with Mayo Clinic. Dr. Huo is a tenured associate professor at the NanoScience Technology Center at University of Central Florida, Orlando, FL, USA. She also holds joint appointments in the Department of Chemistry (College of Science), Department of Materials Science and Engineering (College of Engineering), and is a graduate faculty at the Burnett School of Biomedical Science (College of Medicine) at UCF. Dr. Huo’s primary research interest is using gold nanoparticles for biomedical applications. Her group developed a new platform analytical technique for chemical and biological detection and analysis by combining gold nanoparticle probes with dynamic light scattering detection. Dr. Huo and her students are using this method to develop new diagnostic tests for infectious diseases and cancer. 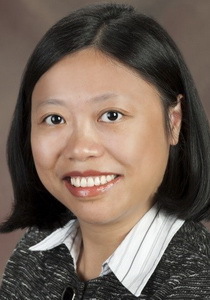 Dr. Huo’s research has been supported by some major research funding from the National Science Foundation (NSF), Florida Department of Health, State of Florida. She was a recipient of NSF CAREER award, Nanoscale Interdisciplinary Research Team (NIRT) award, and Scholar Boost award from the State of Florida New Florida 2010 program. She has authorized and co-authorized more than 80 peer-reviewed articles in the field of chemistry and nanotechnology. Qun Huo (Ph.D.) received her B.Sc. degree in polymer science from University of Science and Technology of China (1991), M.Sc. degree in chemistry from Sun Yatsen University (1994), and Ph.D. degree in Chemistry from University of Miami (1999). Dr. Ziegler completed his Ph.D. in Chemical Engineering at the University of Texas at Austin. He then received the Enterprise Ireland Postdoctoral Fellowship and researched University College Cork followed by postdoctoral research at Rice University with Nobel Laureate Richard Smalley. In 2005, Prof. Ziegler joined the faculty in the Chemical Engineering Department at the University of Florida. Prof. Ziegler’s research group focuses on developing a fundamental understanding of interfaces in nanoscale systems, which can have far-reaching implications for various fields of nanotechnology. The goal is to manipulate interfaces to dictate the nanostructures fabricated and to control reactions and transport at the surface of the nanostructures. Once these interfaces can be controlled and manipulated, it is possible to fabricate nanomaterials with novel functionality, improving their integration and performance in several applications. The manipulation of these interfaces can alter the wettability, interaction of nanomaterials with matrices, and their stability to environmental effects. His group primarily works with one-dimensional nanostructures, such as single wall carbon nanotubes (SWCNTs), vertical arrays of nanowires, and nanoporous systems. His work on SWCNTs has focused on understanding the effect of surfactant-nanotube interactions on their dispersion and their separation by chirality. Prof. Ziegler’s work on nanowire arrays and nanoporous systems has focused on understanding how nanoscale interfaces affect transport, especially in energy-related devices. Dr. Yang obtained his Ph.D. from Tsinghua University in 2010. From 2010 to 2012, he was supported by the Alexander von Humboldt Postdoctoral Fellowship and worked with Prof. Dr. Patrik Schmuki at the University of Erlangen-Nuremberg. From 2012 to 2015, he was supported by the Peter M. & Ruth L. Nicholas Postdoctoral Fellowship and worked with Prof. Dr. James M. Tour at Rice University. Since 2015, he has been assistant professor at the University of Central Florida. His research group is dedicated to developing transformative thin-film technologies for renewable energy generation and storage, solar energy harvesting, and smart/flexible electronics applications. 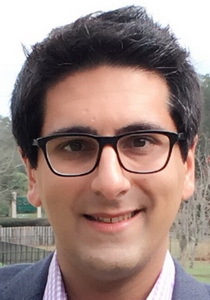 His current research emphasizes the following projects: a) free-standing and lightweight thin-film electrodes for wearable batteries; b) new battery technologies beyond lithium ion; c) advanced electrocatalysts for renewable energy generation; d) plasmonic photocatalysts for full solar spectrum energy harvesting. He has published more than 70 peer-reviewed journal articles, including Journal of the American Chemical Society, ACS Nano, Nano Letters, Advanced Materials, Advanced Functional Materials, Advanced Energy Materials, Angewandte Chemie International Edition and so forth. 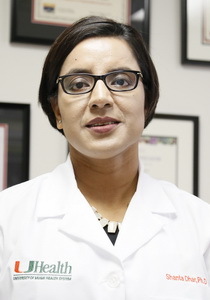 Dr. Dhar is an Associate Professor in the Department of Biochemistry and Molecular Biology, University of Miami Miller School of Medicine. 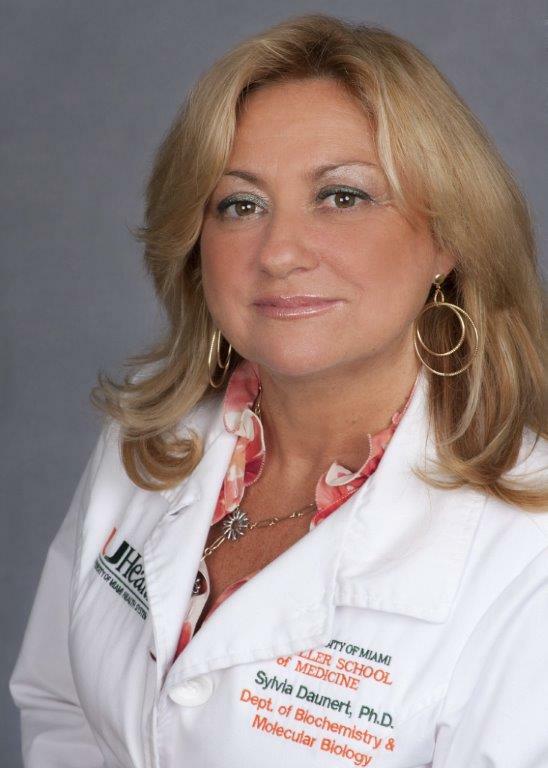 She also serves as an Assistant Director of Technology and Innovation at Sylvester Comprehensive Cancer Center at Miller School of Medicine. She received Prostate Cancer Idea Development Award from Department of Defense, National Scientist Development Award from American Heart Association, Ralph E. Powe Junior Faculty Development Award from Oak Ridge Associated Universities. Best scientific contribution by the International Society of antioxidants in nutrition and health and the targeting mitochondria conference in 2012, one of “Georgia’s top medical researchers” by Atlanta Business Chronicle in 2014, one of Georgia’s 40 under 40 by the Georgia Trend in 2014, Thieme Chemistry Journal Award 2015. 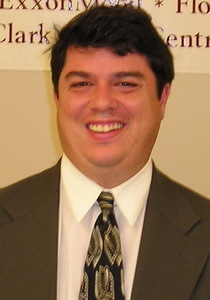 Dr. Kurt Winkelmann is an Associate Professor of Chemistry at Florida Institute of Technology. His chemical research interests include nanoparticle toxicology and reaction kinetics. He also leads ongoing projects in chemical and nanotechnology education research. With Dr. Jim Brenner and others, Dr. Winkelmann helped to develop the first introductory nanotechnology lab course that incorporated both hands-on instrumentation and wet lab activities. He has team-taught this class since 2004 and continues to develop innovative lab experiments that convey to students the important concepts and applications of nanotechnology. Dr. Ant Ural is currently an associate professor of Electrical and Computer Engineering at the University of Florida (Gainesville, FL). He is also affiliated with the Nanoscience Institute for Medical and Engineering Technology. He received his B.S.E. degree in Electrical Engineering and Physics from Princeton University, and M.S. and Ph.D. degrees in Electrical Engineering from Stanford University. From 2001-2003, he was a postdoctoral fellow in the Department of Chemistry and the Geballe Laboratory for Advanced Materials at Stanford University. 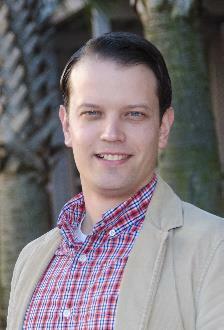 In 2003, he joined the University of Florida as an assistant professor. From 2012-2013, he was as a visiting scientist in the Nanoscale Science Department of the Max Planck Institute for Solid State Research in Stuttgart, Germany. 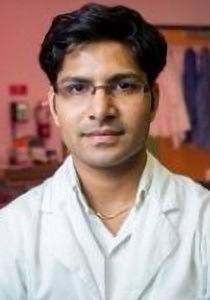 He is the recipient of an SCEEE Junior Faculty Development Award, as well as best paper awards at the MRS Spring Meeting and ICDS-20 conferences. 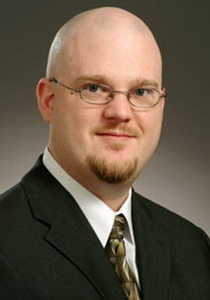 He is currently serving as an associate editor of the IEEE Transactions on Nanotechnology. His research interests are in nanoscale electronic and photonic materials and devices. Dr. Mendoza-Cortes received his MSc and Ph.D. from the California Institute of Technology (CalTech) in 2010 And 2012, respectively; and did his PDF from UC Berkeley in 2014. In January 2015, Dr. Jose Mendoza-Cortes started as assistant professor in the Department of Chemical and Biomedical Engineering at the Joint FAMU-FSU College of Engineering, comprised of Florida A&M University(FAMU) and Florida State University(FSU). He also holds a_liations to Scienti_c Computing, Material Sciences, Condense Matter Physics and the National High Magnetic Field Lab at FSU. Dr. Mendoza-Cortes has given 17 national and international invited plenary and keynote lectures at scientific conferences. He has pioneered Materials by Design for Porous Materials using topological concepts in combination with atomistic simulations and experiments. The _rst example was published in Science Maga-Zine and was awarded the 2007 AAAS Newcomb Cleveland Prize, which is the AAAS’s oldest and most prestigious award. His recent research about designing new materials for energy conversion was featured in Forbes magazine, CNBC, and the Department of Energy (DOE) highlights. 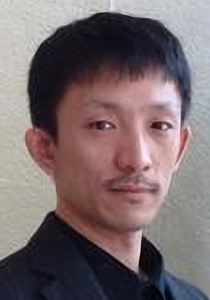 In 2016, he obtained a grant from the National Energy Research Scienti_c Computing Center (NERSC) to develop new multiscale methods for materials design. This DOE grant is to develop the next generation of codes and software for computational materials physics and chemistry. In 2016, he obtained a grant from the National Science Foundation (NSF) to investigate the fundamental degradation of Lithium batteries and their further improvement. More recently, He also obtained funding from NVIDIA, the largest GPU maker in the world, to develop new computational methods on this new computing architecture. 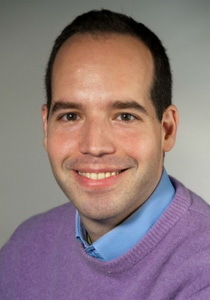 Dr. Mendoza-Cortes has over 18 Journal publications and his research, albeit recent, has been highly cited in the scienti_c literature Our published work has been cited over 3590 times, (Source: Google Scholar). Because of graduate and post-graduate studies advisors, his academic great-grandparents are Marie Curie and Paul Dirac. Dr. Mendoza-Cortes has changed _elds several times. First, he was a mathematician, which turned into a Chemist, then into a physicist, then into a computer scientist, then into an engineer, and so on. However, right now he is focusing on multiscale simulations of (`old’ and `new’) materials. 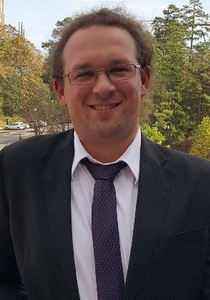 Dr. Jean-Hubert is originally from Strasbourg (France) and attended University of Strasbourg where he obtained his MSc in Organic and Supramolecular Chemistry. During his Ph.D. work at University of Strasbourg, he developed new classes of luminescent liquid crystals and studied light-matter interactions in hierarchical materials. He then moved to Duke University in 2011 as a postdoctoral associate and engineered polymer-wrapped carbon nanotube materials for solar energy capture and conversion. As an Assistant Professor in the Department of Chemistry at University of Miami, he is creating new classes of structure-function optimized organic materials constructed from out-of-equilibrium intermediates. In addition to elucidating fundamental electronic processes in these emerging materials, his research program targets applications in solar energy capture and conversion, mechanical energy harvesting, tactile sensors, and organic electronics. Dr. Shah is working as a Sr. Systems Engineer at Stryker for the development of next-generation surgical robots in the field of orthopedics. Dr. Shah earned his Ph.D. in Biomedical Engineering from Florida International University (FIU), Miami, FL in Spring 2015. 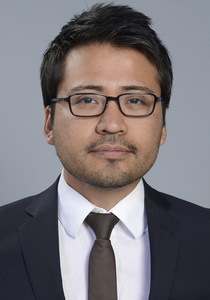 His research work is widely spread in the field of nanotechnology, especially, application of nanomaterials for point of care devices, probing biocompatibility of novel nanomaterials, and identifying the cytotoxicity of nanomaterials on a single and small colony of cells using lab-on-chip platforms. He earned an M.S. in Biomedical Engineering from the New Jersey Institute of Technology, Newark, NJ, and a B.S. in Biomedical Engineering from Saurastra University, Gujarat, India. Engineering from the University of Wisconsin in 2010 for research conducted under the guidance of Prof.
numerous research grants from NIH. Dr. Hudalla was recognized for Outstanding Contribution by the Biomedical Engineering Society in 2014, recognized for Outstanding Contribution to Cellular and Molecular Bioengineering in 2015, named an Emerging Investigator by the Journal of Materials Chemistry B in 2016, and named a Young Innovator by the Biomedical Engineering Society in 2016.
problems. Her group genetically engineers living cells and proteins for environmental detection, molecular sensing, molecular diagnostics, point-of-care tests, biomarker identification, and drug delivery. Her group has published over 250 papers and patents. Dr. Daunert serves as editor and is a member of editorial and scientific advisory boards of journals, professional societies, as well as governmental and industrial organizations. Among other international awards and honors, Dr. Daunert is a member of the Real Academia Nacional de Farmacia of Spain and Academic D’Honor of the Reial Acadèmia de Farmàcia de Catalunya, She also received the title of Excelentísima Doctora from the Kingdom of Spain.